A two-day break in Le Mans is a great opportunity to experience the heritage of this remarkable city. The city centre has a high concentration of historic landmarks, which are in close proximity to the Kyriad Le Mans East Hotel. The city wall, originally constructed in the late 3rd century, is one of the best-preserved Roman fortifications in the world. Saint Julian’s Cathedral, completed in the 15th century, is one of the largest in France, at 134m in height. Le Mans offers more than enough sites and activities for a week-long stay, starting with remnants of the city’s Roman baths, which are located in an archaeological crypt under the School of Fine Arts. The Queen Berengaria Museum features collections on regional history and art, housed in gothic, half-timber manor houses. Also worth a visit is the Tessé Museum, which includes an art collection spanning eight centuries, and a permanent exhibit on Ancient Egypt. 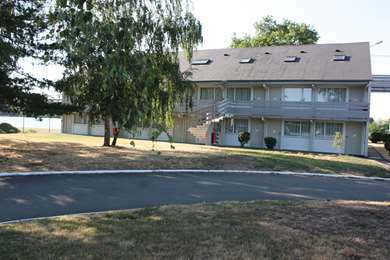 Le Mans is a great location for a family vacation with many outdoor spaces and activities for kids and adults. The Garden of Horticulture covers a five hectare area and includes French and English-style sections, with roses, lime trees and a lake. Tessé Museum is surrounded by a park bearing the same name. Just to the north-east of the city, “Arche de la Nature” is a park offering activities such as horse-drawn carriage rides and canoeing. Le Mans is easily accessible by train. A high-speed rail line runs to Paris in one hour, and the Gare du Mans, a short drive from the Kyriad Le Mans East Hotel, also offers connections to Lille, Marseille, Nantes, Rennes and Brest. The A11 motorway connects Le Mans to Paris (2h30) and Nantes (2h30), while the A81 runs to Rennes (2h). 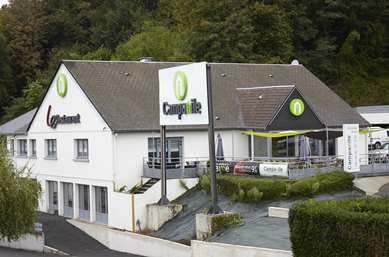 Le Mans is home to many great restaurants offering local and traditional French cuisine. Le Grenier à Sel serves plates such as lamb shoulder confiture spiced with cumin, ravioli with escargots and Risotto with green vegetables and olive oil. La Maison d’Élise offers modern dishes, including Homard ravioli served with pot-roasted pigeon and steamed vegetables. Le Mans is best known for the Le Mans 24 Hours, a day-long car race held in June, which runs through the city and its surrounding areas. Known as the Sarthe Circuit, this 13.6km race course runs all the way to Mulsanne, where the Kyriad Le Mans South – Mulsanne Hotel is located. During the summer, visitors can enjoy city-wide light shows centred on Le Mans’ historic monuments. Le Mans served as a shooting location for Cyrano de Bergerac, a French film starring well-known actor Gérard Dépardieu. The city’s landmarks and monuments provide an ideal setting for historical films. Other notable movies shot in Le Mans include Bobby Deerfield, with Al Pacino, and The Man in the Iron Mask, starring Depardieu and Leonardo DiCaprio.